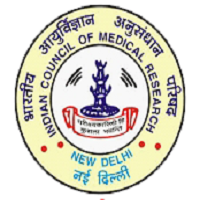 National Institute for Research in Tribal Health (NIRTH), Jabalpur Recruitment Notification 2018.NIRTH inviting applications for the positions of Jr. Nurse & Technicians.Interested and Eligible candidates can apply for the positions. Diploma in nursing or midwifery or equivalent qualification holders can apply for Junior nurse post. 12th pass in biological science holders can apply for technician post. Maximum age for general/UR candidates is 28 years, age relaxation for SC/ST is 05 years, OBC is 03 years. Mode of applying for NIRTH Jabalpur recruitment is through offline. 15th September 2018 is the last date to submit application forms. http://www.nirth.res.in/ is the link to download application form and send to below given address.